Cheeseburgers – With the 90 degree weather that we had this week, I’m in the mood to grill! But think beyond the basic and try one of these: French Onion Burger, Cheeseburger Quesadilla, Pepperoni Pizza Burger, or a Grilled & Stuffed Bacon Cheeseburger. Yummers! Chicken Fajitas – I love the marinade on this one, but I’ve been playing around with baking them in the oven rather than a skillet just for ease-of-preparation reasons. When I get it mastered, I’ll let you know, but for now, try this one out. Cheesy Barbeque Chicken Sandwiches – We make this often since the leftover barbeque chicken freezes so well. I often simplify it by leaving off the cheese and bacon. This is about as easy as it gets! Ham & Cheese Pasta Bake – I haven’t made this one yet, but it looks like a great addition to a recipe book since it’s a creative way (I think) to use ham. Spinach Lasagna Rolls – This is another one that I haven’t made (I’m slowly working up to introducing my family to cooked spinach), but it looks easy and fancy without being overly complicated. 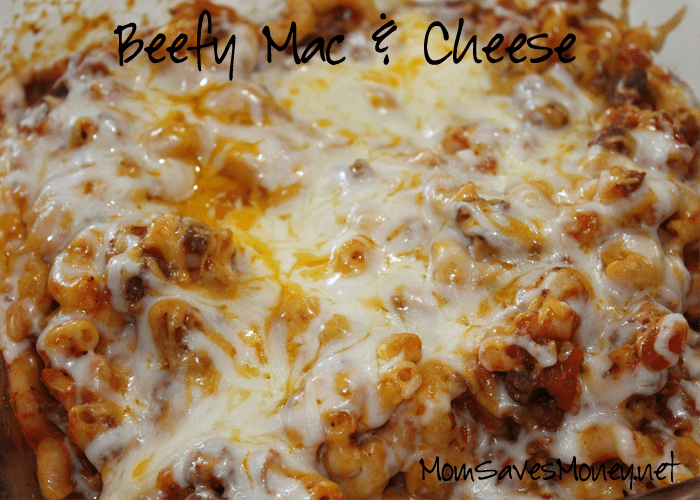 I make some variation of this Beefy Mac & Cheese casserole about once a month (which is quite often for us), because it’s so easy to change-it-up! If I’m feeling Italian, I use Italian spices (oregano and basil) and mozzarella cheese. If I’m feeling Mexican, I’ll use cumin or taco seasoning with cheddar or Monterey Jack. Freezes beautifully too! I often split it in ½ and make ½ and freeze ½. That works well for our small family. Brown your beef and onions with salt, pepper, garlic salt and the spices. Drain. Add back to pan. Add the tomato sauce. If you have time, let it simmer on low for an hour or so, but that's not mandatory. Cook the macaroni in boiling water till it’s almost done. Drain it and add it to the tomato sauce. Let cool (if you have time), transfer it to a large baking dish and cover it with foil. When ready to bake, bake at 400 degrees until it's hot (about 30-45 depends on how cold it was when you started baking). I usually freeze these pre-baked. In fact, for my family, I make 2 9x9 pans instead of a 9x13 pan. Then on the day when I want to make them, I just de-thaw overnight or during the day. Jayme is a wife to 1 and, so far, a mother to two little boys. 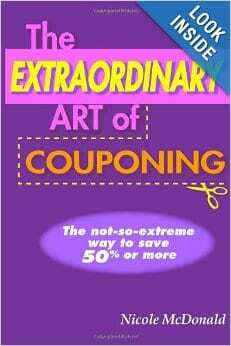 She coupons, but isn’t super extreme about it. She price matches and loves it! While she likes to cook, she’s in the stage of life where simple is usually better! She never knows how many hands she’ll have free at dinner time! You can find her at No Regrets Living. Hi! I’m enjoying your website. When I cook I cook for 2 households of 1 person each, thus freeze able recipes work best. Often I make my own tomato sauce and buy my pasta in large bags. Could you please tell me how many ounces of tomato sauce are used in the above recipe and also how many ounces of pasta (12 or 16 oz)? Thanks in advance. Good questions! I use 16 ounces of pasta since that’s what my box of elbows come in. The tomato sauce would also be 8 ounces each. BUT…this is pretty flexible such that if you use too much tomato sauce? Oh well! Just a little saucier. Use too much pasta? Oh well! Just a little thicker!